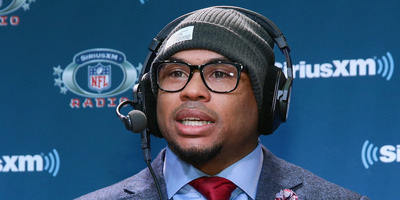 Cindy Ord/Getty ImagesRetired NFL wide receiver Steve Smith Sr. has become an NFL analyst since hanging up his cleats. Retired NFL player Steve Smith recently opened up about his years-long struggle with depression. Another prominent former player, Brian Dawkins, has recently revealed his own struggles with depression, even admitting that he was at one point seriously considering killing himself. Smith, for his part, wishes he had been more open about his struggles and wants other athletes to feel comfortable coming forward. Former NFL wide receiver Steve Smith Sr. wrote a piece for NFL.com on Tuesday in which he opened up about his personal battles with depression over the years. In doing so, he joins newly inducted Hall of Famer Brian Dawkins in a small but seemingly growing list of prominent former football players seeking to change the stigma around mental health in and out of football. That two such prominent figures would open up about their mental health battles could help diminish the stigma towards mental illness in football, a sport that, more than any, glorifies an ethos of silent toughness that discourages people from speaking out about their struggles. But Smith, in his piece, says that he wishes he had been more open about his struggles during his playing career. “My family and close friends have always been supportive in everything I’ve done or set out to do, yet I shut them out for years due to my own inner struggle. And within the league, there’s no doubt I would have had three dozen people reach out if I had been brave enough to bare my soul. But I was extremely broken and afraid of negative judgment,” he wrote.